This chapter examines the nature of ethical dilemmas faced by forensic economists. 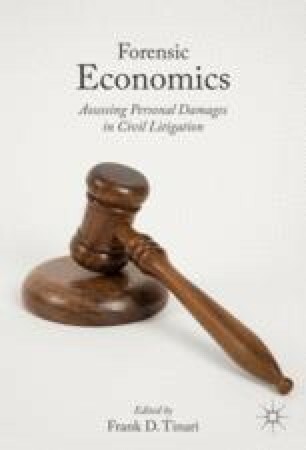 It first discusses the various pressures to act unethically that economic experts may encounter. Many of these pressures are addressed by the Statement of Ethical Principles and Principles of Professional Practice (SEP) promulgated by the National Association of Forensic Economics and a comparable statement issued by the American Academy of Economic and Financial Experts. The chapter identifies some principles in the SEP that are not generally practiced by non-forensics consultants. Also explored are the various forms that unethical behavior takes as well as its internal and external motivating factors. The chapter concludes with an examination of the ethics-supporting mechanisms embedded in the adversarial processes of tort litigation. Ireland, Thomas R. University of Missouri-St.Louis web page: http://www.umsl.edu/divisions/artscience/economics/ForensicEconomics/useful.html. National Association of Forensic Economics. (2004, October 1). Statement of ethical principles and principles of professional practice. Available at www.nafe.net.